L’Oréal-owned skincare brand Kiehl’s is leveraging star power and immersive digital technologies for the third edition of its annual ‘Kiehl’s Loves’ campaign, titled ‘Kiehl’s Loves Around the World 2018’. 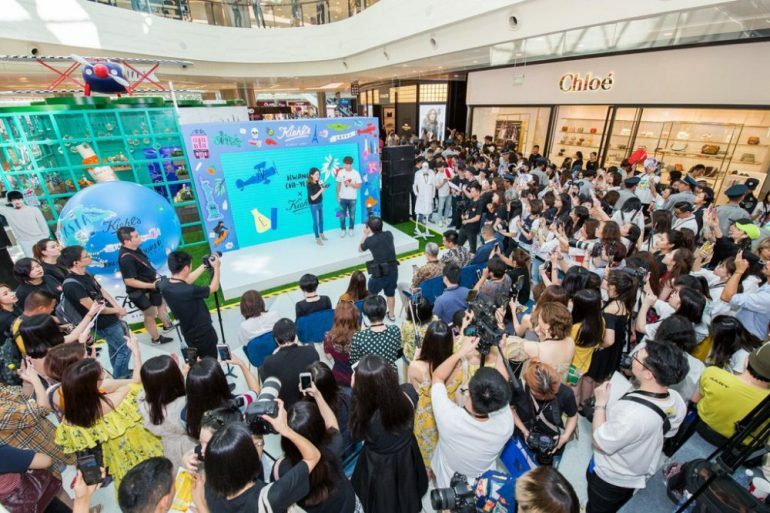 The campaign was officially launched in Hainan last month with an influencer-driven mega event and an immersive pop-up featuring augmented reality (AR) technology and digital retailtainment – a first for the brand. In another first, Kiehl’s has appointed some of the region’s top celebrities to front the campaign, which will run in nine locations across Asia Pacific travel retail: Hainan, Bangkok, Jeju, Seoul, Beijing, Shanghai, Hong Kong, Macau and Taiwan. These celebrities will serve as “adventurers” in the travel-themed campaign, each representing a specific location. South Korean singer Hwang Chi-Yeul has been chosen as the campaign’s “global explorer”, representing Kiehl’s home city of New York. Joining him as local “city hosts” are Chinese singer Wang Ziyi (representing Hainan), Chinese actor Dong Zijian (Beijing), Chinese fencing athlete turned singer and actor Dong Li (Shanghai), Taiwanese singer and actress Emma Wu Ying-chieh (Taiwan), and Hong Kong Cantopop singer and songwriter Pakho Chau (Hong Kong). Kiehl’s Loves is a global campaign that celebrates the countries and cities served by Kiehl’s worldwide. Following in its annual tradition of working with internationally acclaimed artists, this year Kiehl’s has teamed up with New York-based graphic designer and illustrator Ali Mac to create limited-edition packaging for Kiehl’s products. Ali Mac has designed artwork for more than 50 international Kiehl’s locations, combining symbols of the brand’s heritage with visual icons that are characteristic to each city’s local culture and DNA. Besides product packaging, the fun and colourful artwork will also be featured on travel-themed items such as totes bags, pouches and luggage tags. Kiehl’s Loves Around the World 2018 kicked off in Hainan, China, with an immersive pop-up store that ran from 1–29 September at China Duty Free Group’s Sanya International Duty Free Shopping Complex. Located at the level 1 concourse, the pop-up was designed to highlight Kiehl’s bestselling products using AR technology to create a disruptive, engaging experience. It comprised a number of themed areas – a nature room, an adventure room and a Kiehl’s 1851 apothecary – with digital touchpoints to engage shoppers. Scanning the QR code on WeChat called up AR features that illustrated product information and directed users to the Kiehl’s e-commerce site and the Kiehl’s store on level 2 of the shopping complex, driving O2O (offline-to-online/online-to-offline) conversion. A digital photo booth also provided photo opportunities and encouraged sharing on social media. Thanks to AR technology, shoppers could find out more about the products via WeChat. On 22 September, L’Oréal Travel Retail Asia Pacific and China Duty Free Group (CDFG) celebrated the campaign launch with a high-profile promotional event, attended by key opinion leaders (KOLs) and media from China. Global campaign ambassador Hwang Chi-Yeul and Hainan ambassador Wang Ziyi made special appearances at the event, where they played games and interacted with their fans. Thanks to their participation in Chinese reality shows, both singers have amassed a significant following in China, with more than five million Weibo fans each. Source: Kiehl’s, Global adventurer: Hwang Chi-Yeul, the campaign’s consummate ambassador. Following Hainan, the Kiehl’s Loves Around the World 2018 campaign will continue its travel retail roll-out this month in Seoul. 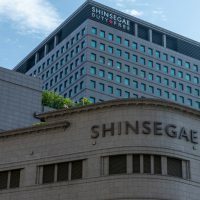 A similar consumer engagement event will take place downtown, with another appearance by global ambassador Hwang Chi-Yeul. L’Oréal Travel Retail Asia Pacific General Manager of Kiehl’s Adele Zhang told The Moodie Davitt Report that China and Korea were natural choices when it came to selecting the locations for hosting events as they both have very good travel retail shopping environments and are very advanced in engaging millennial consumers. “We believe that travel retail is a great showcase to promote the brand and to engage customers. Of course, we have some constraints in the airports with space etc., but with downtown duty free shops we have more flexibility.” she said. The Kiehl’s Loves campaign taps into the demand for exclusive gifts in travel retail and creates a Sense of Place, a trend that has been pioneered by Kiehl’s for years, Zhang said. The digitalisation of the campaign, through e-commerce and digital/social media, allows Kiehl’s to reach out to millennials and better engage them, she added. The use of AR technology to highlight the brand heritage also helps to create memorable experiences. Looking ahead, Zhang is looking to continue the strong growth of Kiehl’s and make it a leading skincare brand. “Kiehl’s is not a media-driven brand, and we don’t invest heavily in above-the-line. 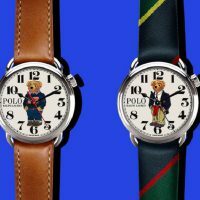 The brand relies on two things: word-of-mouth and high-quality, effective products. Kiehl’s can be categorised as a lifestyle brand, and it originates from New York so it’s perceived as a fun and hot brand, so I think we can do something different from other brands. “We hope to make Kiehl’s a brand that is desired by young people. When they think about brands with high-quality products and 100% natural ingredients, we want Kiehl’s to be at the top of their minds,” she said.